Family-Owned State Beer Distributor Suing Summit Brewing: A family-owned and operated Minnesota beer distributor is suing Summit Brewing Company, alleging the craft brewing company wrongfully terminated the agreement established between the two businesses. MY TAKE: First off, I don’t know why it was necessary to denote that Needham Distributing is “family-owned”, as if to curry sympathy in their fight against big bad Summit Brewing. TRUST me, there is no sympathy when it comes to wholesalers. We discussed this at length on the May 5 edition of the Minnesota Beercast, which you can listen to here. Taproom Growth Discussed at NBWA Meeting: The continued proliferation of brewery-owned retail outposts was the topic of discussion during the annual National Beer Wholesalers Association (NBWA) legislative conference, held Monday in Washington, D.C.
MY TAKE: We covered this one on the Beercast last week also. While it is disturbing to hear wholesalers making noise about curbing taproom expansion, it is not surprising. Historically, the wholesalers have profited the most amongst the three tiers, and the changing marketplace fueled by the growth of the craft beer industry is challenging their dominance. The way we buy our beer is shifting away from liquor stores and instead to taprooms, where we consume pints and flights on premise and take growlers and crowlers and the occasional 750 mL bottle home. If the wholesalers stick to their “we’ve always done it this way and we’ll continue to do it this way” mantra, and run to the government for protection from market forces, it will be the breweries, small independent liquor stores, and consumers, that will pay the price. Wicked Weed beer sale marks flashpoint in brewery turf wars; Lagunitas selling remaining stake to Heineken as founder Magee seeks growth for brand: Longtime North Carolina favorite Wicked Weed Brewing is facing a backlash after selling out to AB InBev, Budweiser’s parent company, and another craft pioneer, Lagunitas, is now wholly owned by Heineken. MY TAKE: The continued acquisition of established craft breweries by the macro breweries is concerning to many in the industry. I, however, do not fault these breweries for doing what in any other industry is considered a savvy move. The bottom line is not every craft brewery has a predetermined group of owners ready to succeed to become the next generation of ownership. That appears to be the case with breweries such as Wicked Weed and Lagunitas. For those breweries looking to “craft” a different exit strategy, the time to start planning is now, not when you’re in your sixties. As the number of breweries continue to grow in the U.S., so do the number of beer-related trademarks…and, of course, the number of beer-related trademark disputes. MY TAKE: this is going to stay a hot legal area in the craft brewing industry. Despite the cries of avoiding what some call “craft on craft crime”, the proliferation of brands is going to inevitably lead to more disputes. This is why we as lawyers run name clearances and file intent-to-use trademark applications right from the start and long before our clients pour their first pints. 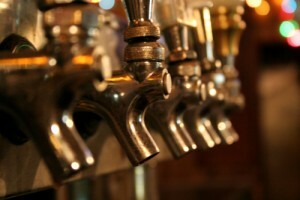 For more craft beverage law resources, check out http://www.jeffreyobrienesq.com/.